What if I told you that you could give your children, grandchildren, and even your great-grandchildren an incredible, one-time gift that allows them to invest and compound money over their entire lifetime, completely tax-free? This little-known option can create a lasting legacy for generations to come. AND, it’s tax-free! Sounds like an amazing gift, right? It’s relatively easy to do, but unfortunately most people don’t even know that it’s an option. It’s called an “inherited Roth IRA.” You basically leave part of your estate in a Roth IRA which becomes an inherited Roth at the time of your passing. Roth IRA money is post-tax (the money you contribute has already been taxed), so any withdrawals from your beneficiary will be tax-free. There are a few rules you need to follow, so watch the video below from Hughes Capital’s InvestX educational series on inherited Roth IRAs. You’ll learn not only how they work and who can benefit from them, but also how to use them to best invest your hard-earned money. In order to leave a lasting legacy for your family, let’s make sure you’re doing it the right way! Here are a couple pointers to get you started. There are two types of IRAs: Traditional and Roth. A traditional IRA is pre-tax, meaning you make your contribution(s) free of tax, but your money (including earnings) will be subject to tax when you take it out years later. A Roth IRA is considered after-tax, which means the money you contribute has already been taxed, so your contributions and any earnings grow tax-free for the life of the account. When someone inherits a Roth IRA, what are the three simple rules for a lifetime of tax-free investing? They can’t contribute to it. Upon heritance, they are allowed to take out all or part of it, assuming the IRA has been open for at least five years. This is a huge benefit for people under 59 ½. They must withdraw a required minimum distribution (or RMD). 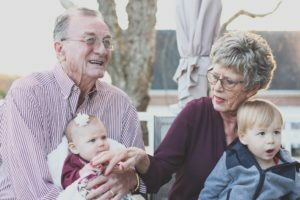 To determine the RMD amount, the inheritor would consult an actuarial or RMD chart that shows where they are within the IRS’s life expectancy table. For example, if the inheritor is 30 years old at the time of inheritance, and the table shows life expectancy to be 83, they theoretically have 53 years left on the planet, so the inheritor will be required to take out a minimum of 1/53rd, or 1.88%, of the IRA each year. Who can inherit a Roth IRA, and how old do they have to be? Anyone can set up a Roth IRA to be inherited by anyone; it’s not just for family members. The greatest benefit will be for those who are young when they inherit it (meaning when you pass away). If you leave it to your children and they are 70 years old when you pass away, it won’t be as much of a benefit to them. The younger the heir is, the more time they will have to take advantage of it. Can you open multiple Roth IRAs and designate beneficiaries for them? Yes, you may have multiple IRA accounts (both Traditional and Roth), as long you do not contribute more than the annual limit across all the accounts. For example, in 2018, the contribution limit is $5,500, so you could contribute $1,000 to one IRA and $4,500 to another IRA. Within each IRA, you are able to assign one or more beneficiaries. You could take a single Roth IRA account and designate 4 beneficiaries, each to receive 25% of the funds in the account (or any other percentage you choose). Click the play button below to watch “Straight Talk on IRAs” with Greg Hughes.